Un concert de légende !!!!!!!! 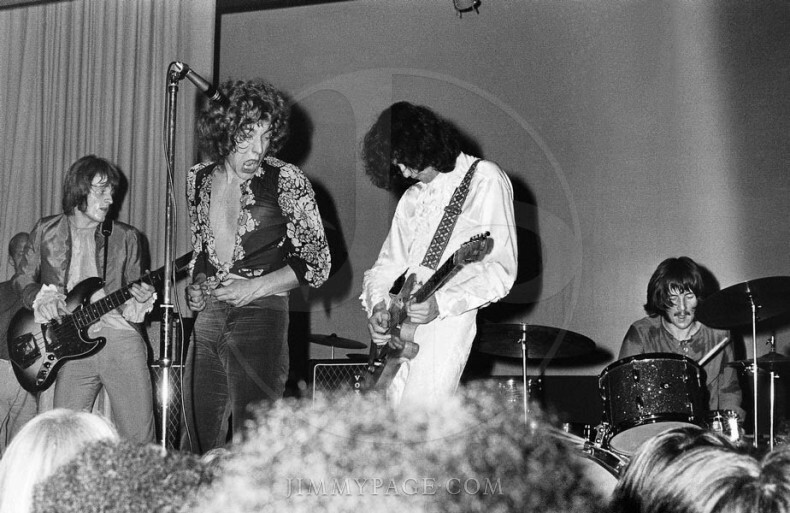 This is the first Led Zeppelin date in 1968. 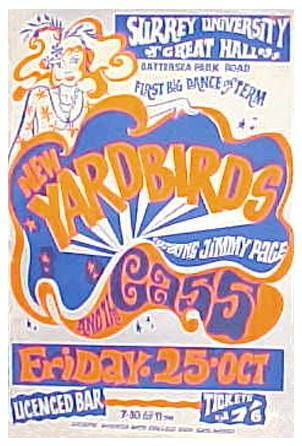 Fulfilling some contractual Yardbird dates, the band was known as 'The New Yardbirds'. The set for this show was (in no particular order): Train Kept 'A Rolling, For Your Love, I Can't Quit You Baby, As Long as I Have You, Dazed and Confused, Communication Breakdown, Flames, You Shook Me, White Summer, Pat's Delight (John Bonham Drum Solo), Babe I'm Gonna Leave You and How Many More Times. This was another recorded concert in Japan at Osaka and the last of a series of successful concerts in this country. During the acoustic set of 'That's the Way', 'Going to California' and 'Tangerine', John Bonham nipped off stage and hadn't returned for the electric 'What Is and What Should Never Be'. So we continued the acoustic set with a quick re-tune for 'Friends' - the first and only time we were to play this song live. We finished the song and he still wasn't back. Then, as Robert was to give a rendition of 'When Smoke Gets in Your Eyes', he still wasn't back. With some encouragement from Robert P, the audience chanted 'Where's Mr Bonham!' - he finally re-appeared and we finished the set. This is an interesting selection considering Led Zeppelin II was to be released in less than two weeks and only included Heartbreaker from the forthcoming album. Un concert énorme !!!!!!!!!!! Merci encore à Ronan qui s'était démené auprès des pontes d'Europe 1 pour autoriser sa publication. The band attend the world premiere of The Song Remains the Same at New York's Cinema One. Among the celebrity guests: Mick Jagger, Carly Simon and Roberta Flack. An aftershow party was held at the Hotel Pierre with $25,000 raised for the Save the Children Fund charity. Le 23 décembre 1968, le groupe s'envolait pour effectuer sa première tournée US. 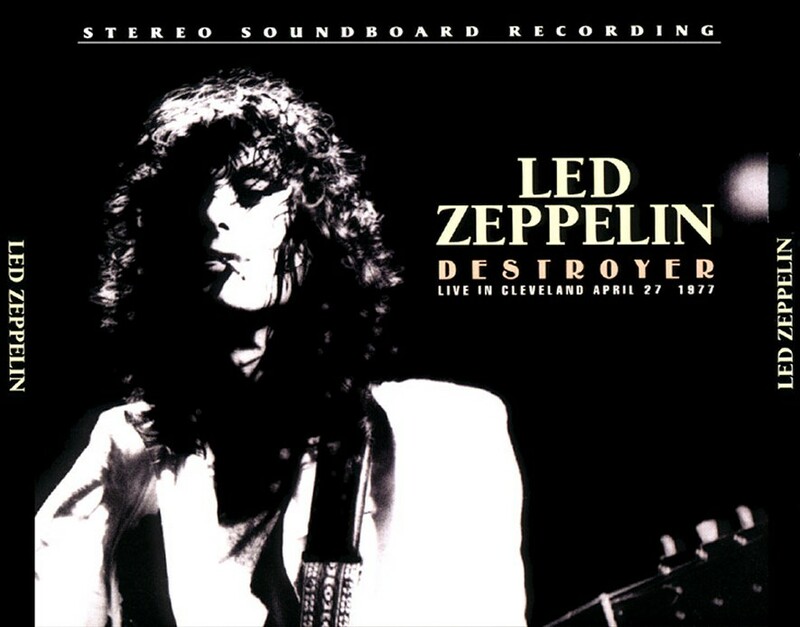 Reputed to be the first primitive Led Zeppelin bootleg, it seems unusual that a support band with limited billing might be recorded before the main attraction, but I think it may well have been a guitar fan in the wake of The Yardbirds who might have recorded this. The Americans were quite muso and would follow the onwards incarnations of musicians on their journey. Dazed and Confused from Gonzago (9 minutes and 42 seconds long) getting in training for a number that will get to around 13 minutes in a couple of years, with all the movements of a classical symphony. 3 janvier 1964 : sortie du single My Baby Left Me/Hoochie Coochie Man par Dave Berry auquel Jimmy Page participa en compagnie de Big Jim Sullivan. 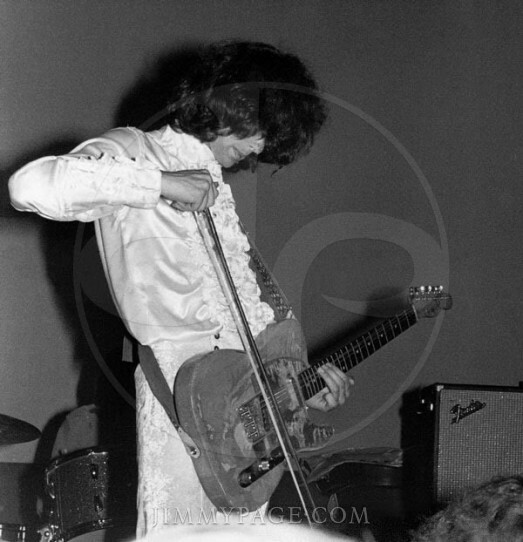 9 janvier 1970 : concert LEGENDAIRE au Royal Albert Hall. Every member of the band was nervous and for good reason. We had played the Albert Hall previously on the Pop Proms, but today in 1970 we were to headline our own show at the most prestigious venue at that time. During the previous year we had been putting in a lot of time in America and recorded the second album, released on 22nd October 1969. It was going to be a critical test of our ability; not only to our fans, but to the press and our families and all in attendance that evening. That evening I met Charlotte, my daughter Scarlet's mother. Philippe Paringaux, a Parisian journalist, became a friend of mine and he came to see the show at the Montreaux Casino and do an interview. This was pre-Smoke On The Water period. The casino burned down, destroyed by fire in December 1971, and was subsequently rebuilt. 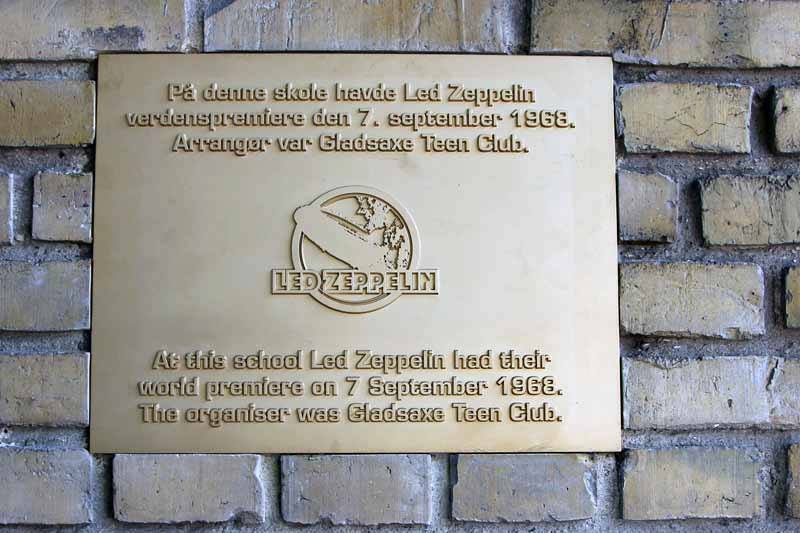 In 1973, I was due to play with Led Zeppelin at the Palais de Sport in Paris. It was due to be the last concert of a chaotic provincial tour of France, with dates cancelled due to serious violent chaos. In France at this time there was an aggressive movement for free concerts and after having been spat on on the way into the show, the band made a decision not to play in France again, much to the chagrin of local journalists who asked the question: "Do you really think you can carry on without playing France…?" 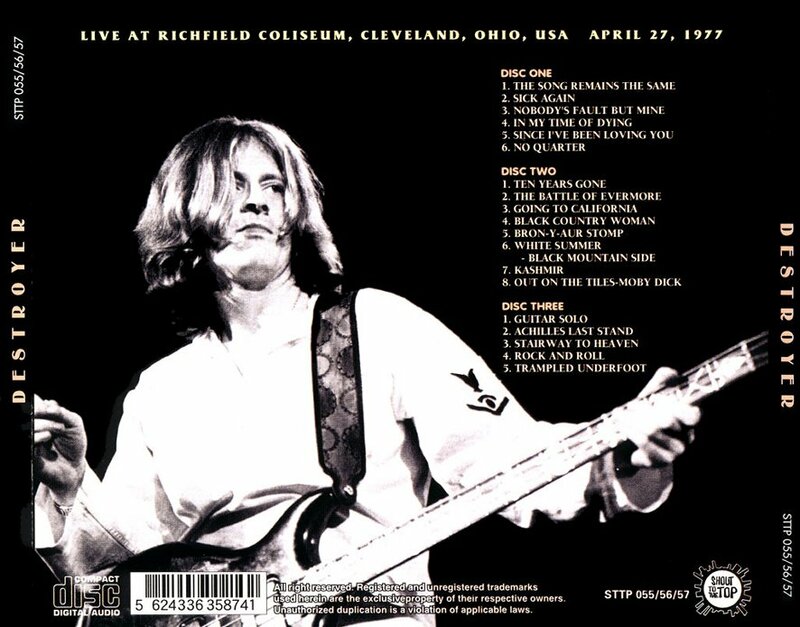 On this day in 1977, I played the Richfield Coliseum in Cleveland with Led Zeppelin. Eight years later on the same day, I played the Coliseum with The Firm. 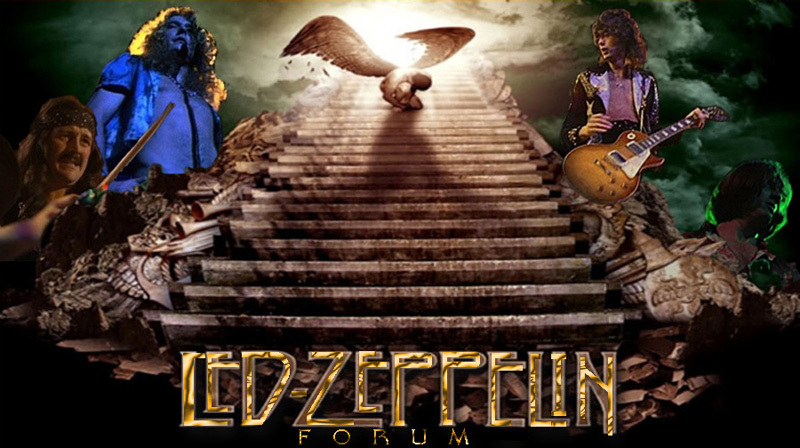 5 juin 2010 : Led Zeppelin est officiellement désigné meilleur groupe par la BBC. Zeppelin devance The Beatles ou Queen. L'émission désigne aussi le meilleur chanteur, guitariste, batteur, et Jimmy Page, Robert Plant et John Bonham sont tous nommés dans ces catégories.John Bonham est élu meilleur batteur devant Dave Grohl et Keith Moon. 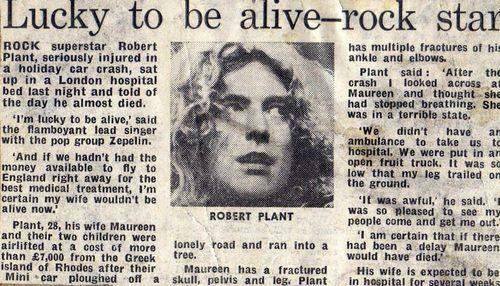 40 ans : July 26, 1977 – Led Zeppelin canceled the last seven dates of their American tour after Robert Plant learned that his six-year old son Karac had died of a respiratory virus (The show two days before in Oakland proved to be the band's last in the United States). Plant would later write the song lyrics of "All Of My Love" in tribute to his son. 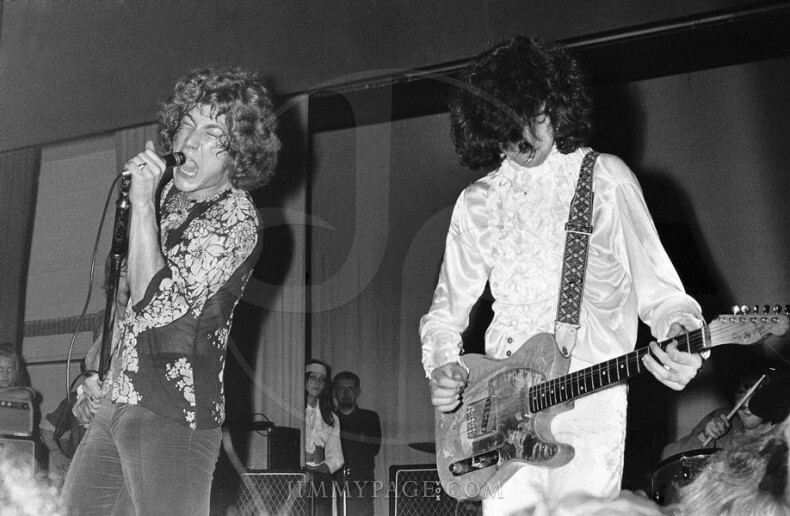 Il y a tout juste 50 ans le 25 Oct 1968 LED ZEPPELIN donnait son premier concert sous ce nom à la Surrey University. Les 4 musiciens avaient déjà donnés des concerts ensemble mais sous le nom de New Yardbirds, le concert du 25 Oct, dont voici l'affiche, est présenté encore sous ce nom. Sujet: Re: Jour après jour !! !